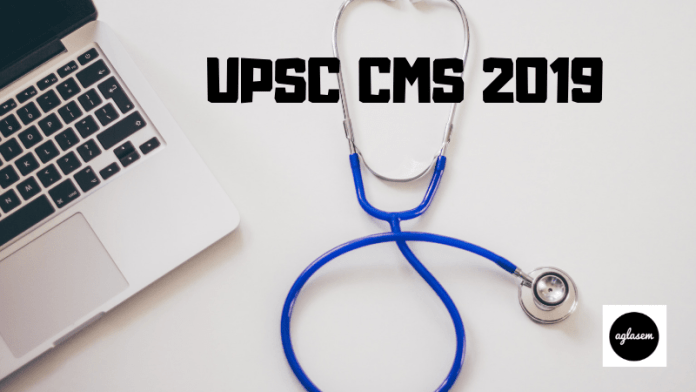 UPSC CMS 2019 – Union Public Service Commission (UPSC) has released the application form and notification for Combined Medical Services (CMS) Examination 2019 on April 10, 2019, at upsc.gov.in. The deadline to submit the form is May 06, 2019. 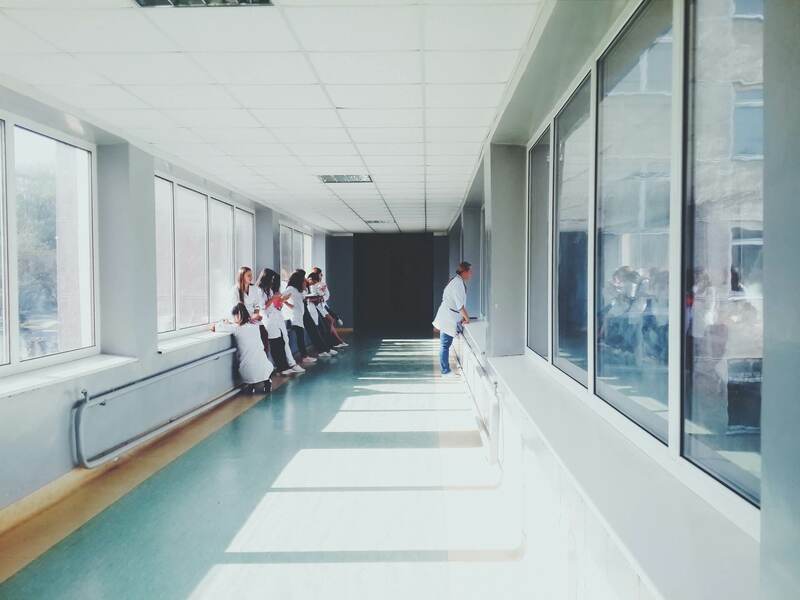 The candidates who have completed their MBBS, and are below the age of 32 years can apply for the exam. The selection of the candidates is based on the Computer Based Examination and interview. Qualifying each examination is a must in UPSC CMS 2019. Latest: The application form of UPSC CMS 2019 has been released. Click here to fill the application form. Last year UPSC conducted the examination for 454 vacancies. This year total of 965 vacancies has been notified for CMS. The interested candidates can check the examination dates from here. The application window for the UPSC CMS 2019 is be activated as per the notified schedule at upsc.gov.in. The eligible and interested candidates can fill the application form. The only mode for applying in online apart from that there is no other mode available. The application fee for UPSC CMS 2019 is Rs. 200/- for unreserved but candidates belonging to Female/SC/ST/PH category the fee was NIL. The application fee was non-refundable. The application fee was submitted in two ways. The Union Public Service Commission has released the vacancy for Combined Medical Services. The number of vacancies is more than double of last year vacancies. Check the post wise vacancies from here. The candidates who will meet the criterion laid down by the UPSC can apply for the UPSC CMS 2019. Nationality: An Indian Citizen is eligible to apply. Or if a person is a subject of Nepal, Bhutan then also he/she can apply. A Tibetan refugee who settled in India before January 1, 1962, can also apply. A person of Indian origin who has migrated from Pakistan, Burma, Sri Lanka or East African Countries of Kenya, Uganda, the United Republic of Tanzania, Zambia, Malawi, Zaire, and Ethiopia or from Vietnam with the intention of permanently settling in India, can also apply. Age Limit: The candidates must not be more than 32 years as on August 01, 2019. For SC/ST category candidates Up to 5 years of relaxation have been provided to candidates. For OBC- it is up to 3 years. Jammu & Kashmir resident who had lived in the state during January 1, 1980, to December 31, 1989. – are provided the age relaxation of Up to 5 years. Educational Qualification: The candidates who wish to apply for UPSC CMS 2019 must have completed the written and practical parts of the final M.B.B.S. Examination. The admit card of UPSC CMS will be released after the winding up of the application form. The admit card will be issued 02 weeks prior to the examination at upsc.gov.in. The candidates who will succeed to fill the application form in time will be issued the admit card for the Computer-based examination. The candidates will be able to download the admit card by entering the registration id/roll number and date of birth. The selection process of UPSC CMS is two phases, the first phase is CBT, and the second phase is a personal interview. It is mandatory to carry the hall ticket in the examination. The qualifier of CBT will be issued the admit card of personality test. UPSC will conduct the CMS examination on the given center below. There was the provision for the negative marking. If any candidate marked any wrong answer then he/she has to bear the deduction. The deduction of the 1/3 marks is was deducted from each wrong marked answer. Negative marking was applicable to both of the papers. Part-II of UPSC CMS 2019 is a Personality Test. The personality test carries 100 Marks. Candidates who qualify for the computer-based examination will be called for Interview/Personality Test. The test will be conducted by the Union Public Service Commission. The result for the UPSC CMS is being released in two phases. The result Computer Based Test released at first. After that when the Personal Interview process gets over then the result of that will release. The result is available online on the UPSC’s website. The appeared candidates are able to check the result on the official website. Or one another method is also available that is the Aglasem page itself. The candidates have to obtain the minimum qualifying marks in order to crack the examination. The candidates who will able to do so will get the selection in UPSC CMS 2019. In order to fetch the result, the candidate has to enter the application no, or username password. As he/she has to login first. After final selection, the candidates will be posted on their desired post as filled in the application form. After the final selection, the candidates will be paid as per the pay matrix decided for their post. One thing you should note, that this is the initial pay scale, this will increase as you get promoted.